Jack Frost arrived and sealed our car doors, the snow drifted and settled, but not enough to stop us driving (although it got a bit slippery on the drive!) and although the sun was out, we decided that with January being the month it is, we all need a little excitement, so we decided to begin our monthly offers – TODAY! Each month through 2019 we will have an offer for you. We will advertise it throughout the month, on here and social media. Beginning on the first, ending on the last day of that specific month, and if you can purchase it and have it delivered before the offer ends, it’s yours! 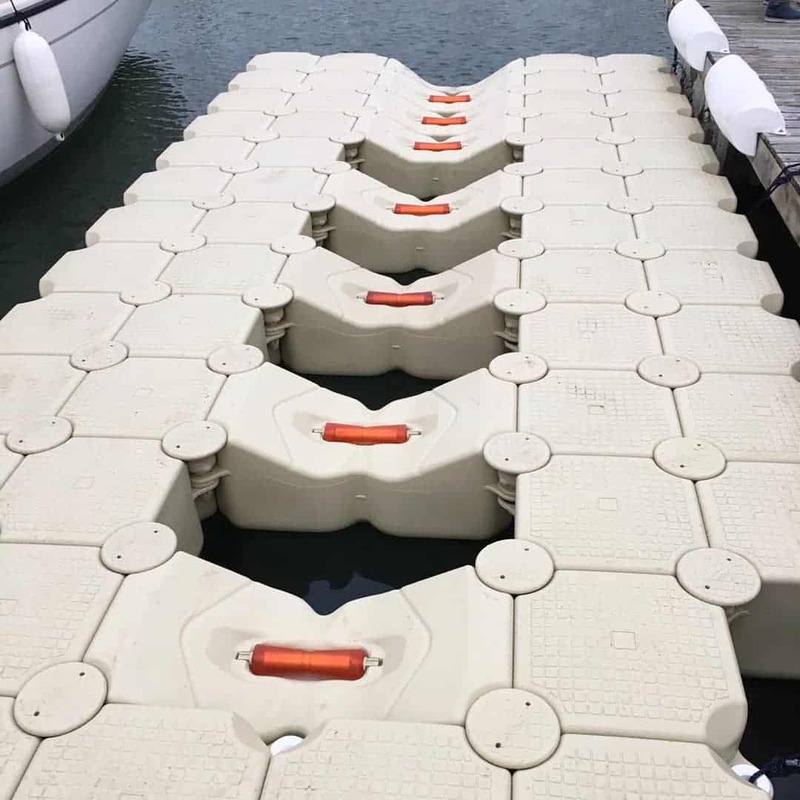 This month we are offering a 5m x 3m Flexiport (Drive on Dock) suitable for a 4m boat, with 10% off! Rather than selling at £3331.00 (ex VAT), it will be just £2997.90 (ex. VAT)! The offer is purely on the Flexiport, delivery is not included. The image below is not fully representative of exact Flexiport in the offer. Get in touch if you’re keen to take advantage of our generosity! Other happenings at WMS this week…. Monday bought us a few pallets of rental cubes which Chris has been jetwashing and putting back in the barn ready for their next outing. The boys are still trying to fix the forklift. Last week, we had a tutorial with Purplebox Digital, on using the back end of WordPress, so we have been practicing adding, removing and getting our heads around this site. Needless to say, the hot chocolate has been drunk to excess and the heaters are blowing on full. Stay warm out there!